They used to say that whoever dies with the most toys win — but that was before we had a toy industry cranking out so much insane quantity that you could fill several buildings with crap in one lifetime. Now, it's all about quality, not quantity. 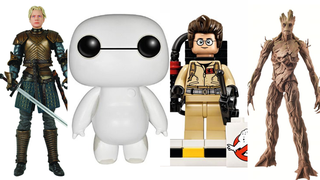 And here are the most brilliant toys and collectibles that came out in 2014.